Posted on 23rd May 2018 at 3:29 pm. Between late night studying sessions and crazy parties during weekends, many students tend to neglect their living space. Tidiness isn’t exactly a virtue you would use to describe the majority of students, right? You’ve probably made a mess of your student home at least a couple of times during the semester! When life gets either busy or fun, cleaning isn’t the first thing on your list; and that is entirely understandable. However, when summer approaches and you have to vacate your student home for the following period, you have to think about getting things in order. It’s only fair to leave your accommodation as you found it – clean and shiny. If you aren’t into cleaning, that could seem like a daunting task; to some, it may even look like a nightmare. There is no need to despair, though. Keep reading for some useful pieces of cleaning advice. 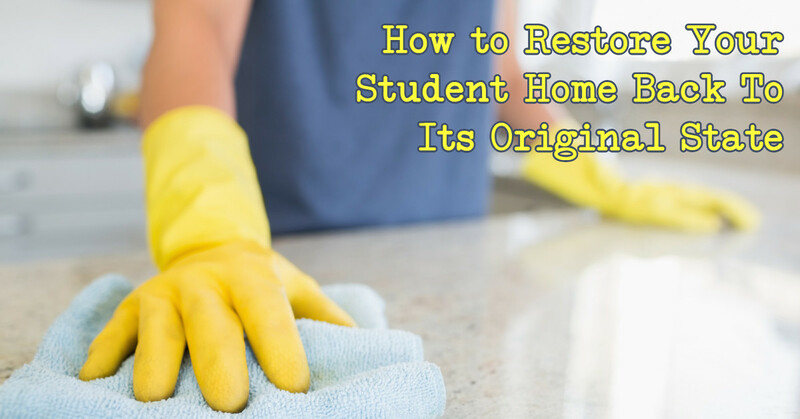 You will have your student home back to its original state in no time. First of all, you should start by vacuuming and dusting; those are the basics of cleaning. This may seem boring to you, but doing it will make a huge difference. You won’t need more than an hour to complete these two tasks. Before you start vacuuming, remember to remove all small items or pieces of clothes from the floor. Stains can be a pain to deal with, especially if you have let them dry. However, with a few simple tricks, you will be able to combat them successfully. Carpets are usually the ones with most stains, as we often clumsily spill our drinks on them. First of all, try a cleaning product such as Vanish for carpets and upholstery. If you follow the instructions carefully on the bottle you may find that’s all you need to do. If that doesn’t work, then try vinegar. Many people praise vinegar when it comes to stain removal; it is an all-time favourite for fish and chips – and cleaning! Put 2 tablespoons of salt in 1/2 cup white vinegar. Apply the solution, let it dry, and then vacuum it. For stubborn stains, make a paste of 1 tablespoon of vinegar with 1 tablespoon of cornstarch and use a dry cloth to rub it into the stain. Vacuum it after two days. It’s easy to forget to tidy up some areas that are out of your sight. Make sure that you empty your fridge (and clean the mess inside, if there’s any), bins, and cupboards. You probably put a lot of things in drawers and eventually forgot about them. Check if there is anything left in all cupboards and closets before you vacate your student home. It’s likely the oven hasn’t been cleaned once since you started your tenancy, which unfortunately makes the job of cleaning it now much more difficult! Try to avoid products like Mr Muscle Oven Cleaner as they are extremely corrosive, and the last thing you want to do is damage the oven just before you leave. Empty the oven and remove all the racks. Make a spreadable paste out of baking soda and water until it’s the consistency of mashed potato, then spread it all over the inside of the oven, making sure you avoid the heating elements, vents and oven light. Leave the solution to harden overnight. The next morning, use a damp cloth to wipe away the dried baking soda. If it’s a bit stubborn to remove then gently scrape it off with a plastic kitchen utensil. This is where the elbow grease comes in! Put some vinegar into the spray bottle and spray it over the remaining residue. It will start to gently foam. Wipe away the foamy mixture with a damp cloth until everything is clean and shiny. Clean your oven racks using standard dishwashing products. Voila – one clean oven! The kitchen and the loo are the two places which should be cleaned most frequently. However, if you have failed to do so in the past, you will have to put some extra effort now. Consider investing into a powerful cleaning agent and motivate yourself to do a fine job; that will allow you to complete the work in record time. Hopefully you’ve been inspired to take on the unenviable task of cleaning your student home ready for the day you leave for the summer. 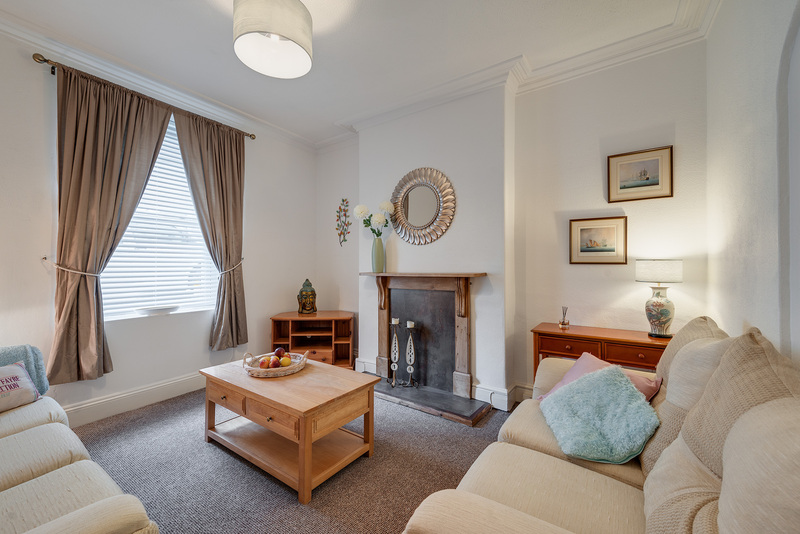 If you’re looking for student accommodation in Plymouth for September, then give us a call on 01752 849232 or view our current availability online.